Dr. Rowena Christiansen is a medical educator in the Melbourne Medical School, and also works as a prehospital emergency doctor. She has undertaken post-graduate training in emergency medicine and critical care, women and children’s health, aviation medicine and space studies, disaster health, and emergency management. Rowena enjoys sharing her knowledge as a BLS, ALS, and PALS instructor, and pursues special interests in disaster management, prehospital and wilderness medicine, extreme environments, and aerospace medicine. Dr. Christiansen is currently the Chair of the Australian Ski Patrol Association Medical Advisory Committee and the RACGP representative on the Australian Resuscitation Council and ANZCOR. She is a WADEM Board and SIG member. Rowena is currently undertaking research related to expeditionary medicine and resuscitation science. 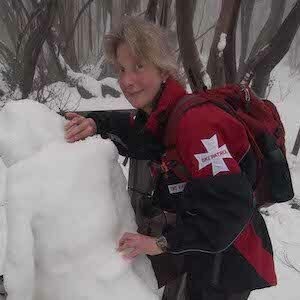 She is the coordinator for the Wilderness and Expedition Medicine track at the Brisbane Congress. In addition to her medical career, she also has a wealth of experience as a lawyer, management consultant, and small business owner/operator. The mission of WADEM is the evidence-based improvement, education, and advocacy of emergency and disaster health care and disaster risk reduction. Learn about upcoming WADEM events, publications, and webinars. ©	2019	WADEM. All rights reserved.